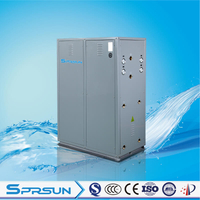 Sprsun ground source heat pumps are designed for domestic hot water and house heating. 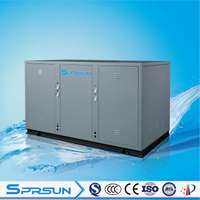 Rated working condition: heating: source side inlet/outlet water temp: 15℃/10℃, load side inlet/outlet water temp: 15℃/55℃. 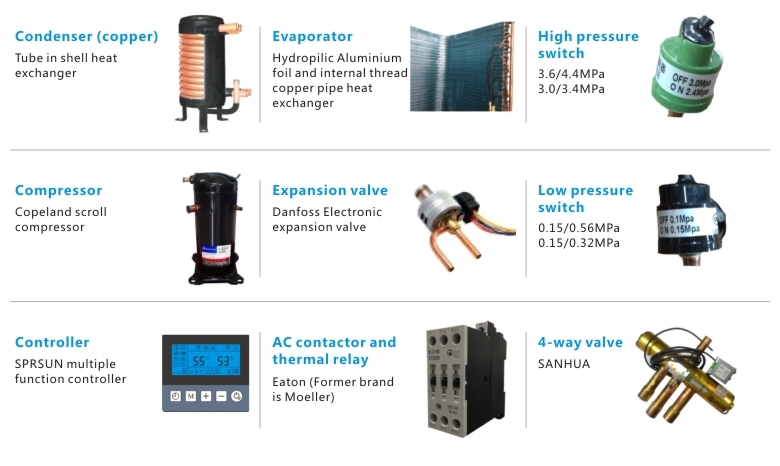 Our heat pumps use high quality components, such as Copeland scroll compressor, Danfoss Electronic expansion valve and Eaton AC contactor and thermal relay, etc. We care every detail on what you need! 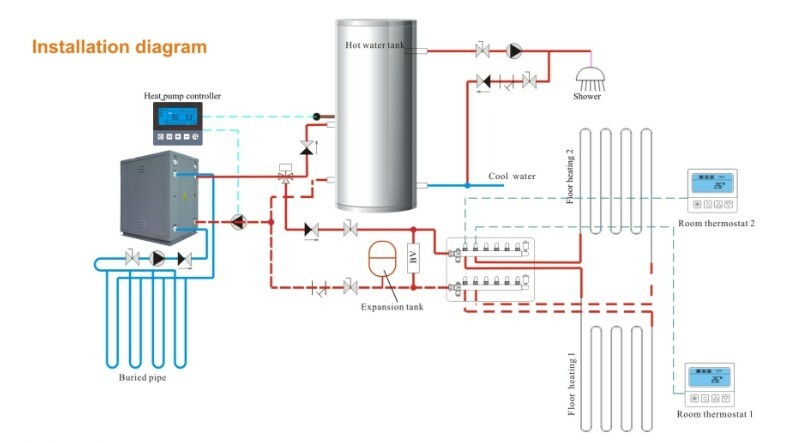 Our experienced engineering team provides good support for any questions concerning the products and installation before, during and after products are sold. Set up customers file and arrange professional sales engineers to introduce company products and services to customers in details. 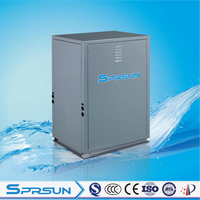 If customers are interested in our products, we will send professional technicians to survey the installation environment. 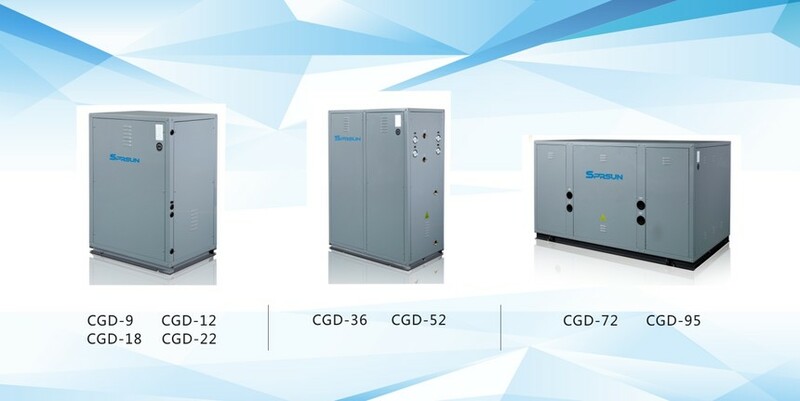 Provide solutions according to different customers' requirements. Machine installed and tested by QA engineers. Ensure all the products we provide are qualified and new. The working life of the main engine is 15 years. 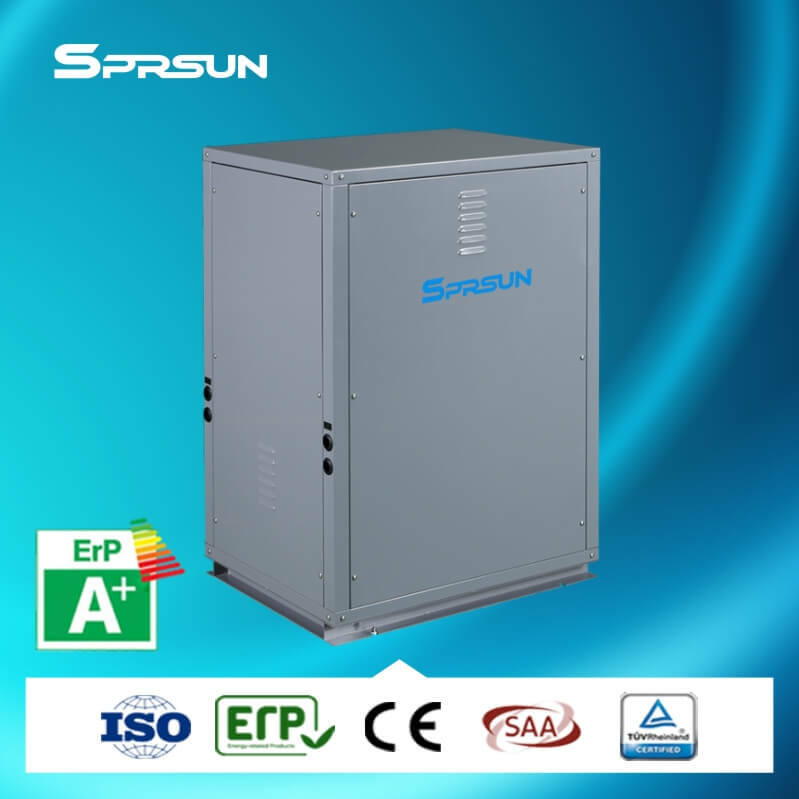 Construct and install the heat pump according to national relevant policies strictly and ensure high quality delivery on time. Test and debug the equipments strictly to ensure the safety and stability. During the delivery, provide comprehensive and professional technical training on instructions and maintenance to customers. We promise to offer free consulting call in 7×24 hours mode to solve the problems found in practice. The number is 86-20-82181867. 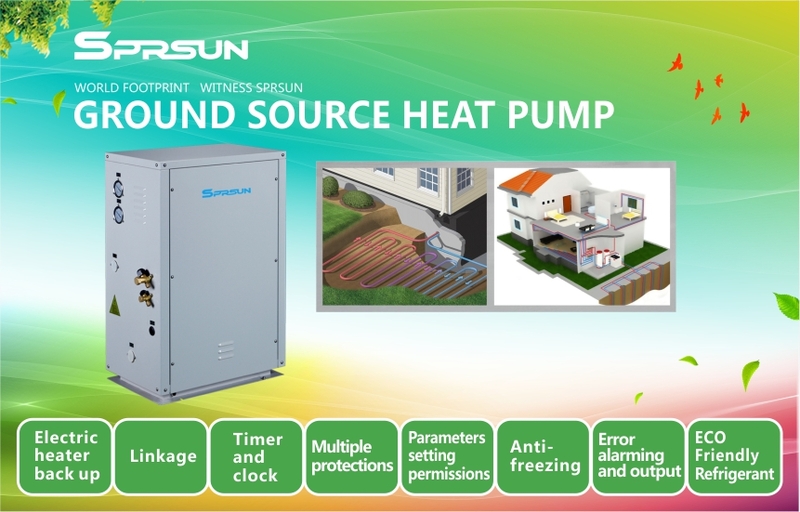 Sprsun offers 18-month long warranty. 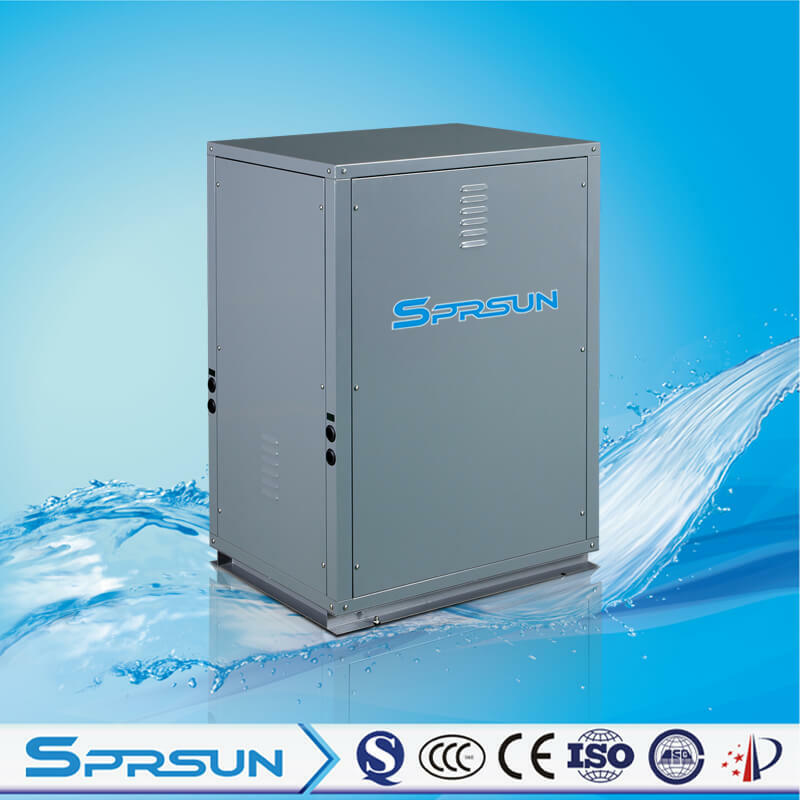 Within 18 months since the delivery date, if the product has any failure under normal usage, Sprsun will provide free assembly parts. After the expiration of the warranty period, we will continue to provide lifelong maintenance services, with just a small amount of charges.